DUBLIN Ryanair has made the biggest-ever order of Boeing (BA) planes by a European airline, announcing Tuesday it will buy 175 aircraft in a major boost for the U.S. aerospace giant. Neither side disclosed the purchase price for the 737-800s, but budget carrier Ryanair said it did negotiate a bulk discount off the total list price of $15.6 billion. Industry analysts said Ryanair almost certainly was paying less than half price, meaning a total bill below $8 billion, or $45 million per aircraft. Ryanair Chief Executive Michael O'Leary and the head of Boeing's commercial airplanes division, Ray Conner, signed the agreement Tuesday in New York. The deal was timed to coincide with Tuesday's visit by Irish Prime Minister Enda Kenny to Washington, D.C. to meet President Obama and senior American legislators for St. Patrick's Day-related events. Kenny plans to visit Seattle and Washington State, the base for Boeing operations in the Pacific Northwest, later this week. The move also takes the sting away from Boeing's loss of a big order on Monday, when Indonesia's Lion Air gave Boeing rival Airbus an order for more than 200 single-aisle planes. 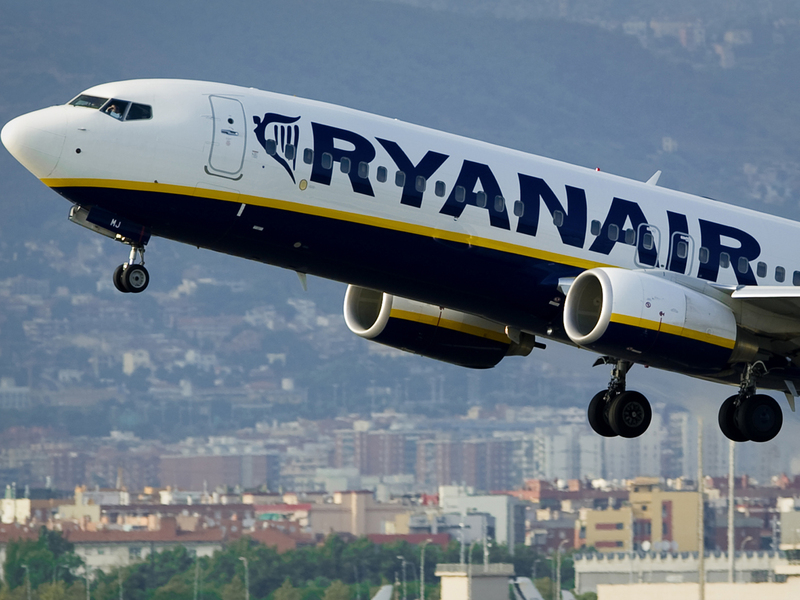 Ryanair already operates a fleet of 305 Boeing 737-800 Next Generation aircraft. It is Boeing's biggest European customer for the model, which launched in 1997 and faces global competition from the Airbus A320. Both are single-aisle aircraft with cabins that typically carry 150 to 200 passengers. Boeing's primary 737 assembly line in Renton, Washington, faces a transition to building a newer model called the 737 MAX by 2017. Ryanair's order represents about a half-year of full-time work for the plant. O'Leary said about 75 of the new-order 737s would replace older airplanes, but the fleet would grow to 400 by 2019. He said Ryanair expected its passenger volume to grow around 20 percent to 100 million passengers by 2019, by which time its workforce would expand from 8,500 to around 11,500. O'Leary has spent years playing hardball with Boeing to secure the best possible price for his next bulk order -- and even sowed the seeds Tuesday for his next marathon negotiation, noting that his airline was "continuing to evaluate the benefits of Boeing's 737 MAX aircraft." The purchase contract for much of Ryanair's current Boeing fleet was agreed in the months following the 9/11 terrorist attacks, when airlines struggled to place new orders, and later Ryanair regulatory filings in Dublin confirmed that it received a 53 percent discount off Boeing's list prices. In 2009, O'Leary noisily withdrew from talks to purchase more 737s and hinted that Ryanair might turn to Airbus. But both sides sang each other's praises Tuesday. "Ryanair is proud to buy Boeing, who have always made great aircraft, and the 737-800 has been the cornerstone of Ryanair's success due to its great engineering and phenomenal reliability," O'Leary said in a statement. "These 175 new airplanes will enable us to lower cost and air fares even further, thereby widening Ryanair's cost and price leadership over other airlines in Europe." Conner said Boeing's "partnership with this great European low-cost carrier is of the utmost importance to everyone at The Boeing Company, and I could not be more proud to see it extended for years to come." Ryanair is one of the world's wealthiest airlines, with more than 3 billion euro ($4 billion) in cash available. Its business model offering internet-only sales of low-fare tickets -- accompanied by a panoply of extra charges for credit card payments, checked baggage, boarding cards and reserved seats -- is increasingly copied by the industry. Ryanair's specifications on its Boeings do away with standard touches, with no business-class seating and no tray tables on the backs of seats, permitting tighter spacing of passengers.